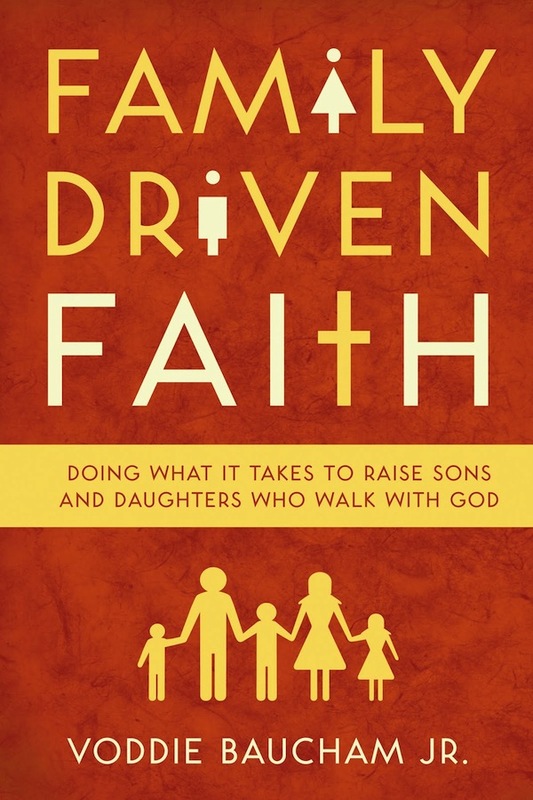 Book Review: Family-Driven Faith by Voddie Baucham, Jr. I don’t recall when I first heard of Voddie Baucham but we did have the privilege of seeing him live at the Desiring God National Conference in Minneapolis back in 2006. During that same timeframe I called him and talked with him about twenty-five minutes. He was gracious and I recall our conversation went very well. What I cannot recall is why I called him in the first place! I started reading his first book, The Ever-Loving Truth, but did not finish it, which is nothing new in my world. This book, Family-Driven Faith, which I purchased through the Amazon Kindle Store and read over three devices (my iPad, my iPhone, and my wife’s Kindle Fire), was more engaging to me because of my interest in the subject matter. Two areas of interest drove me to read this book: (1) how to do a better job as the spiritual leader of my home and (2) how to more effectively lead our church to equip parents in discipling their children. Family-Driven Faith is the only book I have ever read that that I can recall addresses these two issues, and Baucham does so boldly and directly. If I could simplify Baucham’s philosophy into three practices for families it would be: (1) Have family worship routinely, preferably daily. (2) Take your children out of the secular, humanistic public schools and homeschool them. (3) Attend an age-integrated church. This third idea was the most intriguing to me because I was not very familiar with the concept. Baucham argues convincingly that parents are responsible for their children’s discipleship, not the local church. Scripture is clear on the matter (see Deuteronomy 6), with the father especially responsible to make sure this happens (see Ephesians 6.4).Sadly, too many families have bought into the idea that the local church hires the “professionals” (seminary-educated children’s and youth pastors) who know best how to spiritually disciple the children. But Baucham points out that the professionalization of children’s and youth ministries have only coincided with the highest rates of evangelicals leaving the faith in their early adult years. The statistics are clear and consistent that our current church model isn’t working when it comes to making children into followers of Christ as adults. Increasingly, even the children’s and youth “professionals” themselves are saying that church discipleship won’t work if it isn’t being also taught in the home. The reality is that the church can only do a little; the bulk of the job in molding young people into authentic followers of Jesus Christ rests squarely on the shoulders of the parents. If this is an accurate portrayal of what it takes to successfully pass our faith along to the next generation, then there needs to be a shift in the mindset and role of the local church in terms of discipling young people. Baucham believes a revolution needs to take place, where churches forget about trying to do the job of discipling the children of Christians and instead focus attention and efforts on encouraging and equipping parents to disciple their own children. Baucham is radical in his solution: drop all age-segregated ministries and have a fully age-integrated church. Grace Family Baptist Church of Spring, Texas, where Baucham serves as the pastor, has no organized children’s or student ministries. A nursery is available (but not required) for children ages birth through three years old. Children older than three are expected to sit through the worship service. At Harvest Bible Chapel of Jacksonville we do have age-segregated ministries and Baucham did not convince me that this is bad or wrong. But he did challenge me to think about how we can do more to encourage and equip our parents to fulfill their God-given responsibility to be the primary teachers of their children in spiritual matters. For one, we need to teach our fathers what it means to lead out spiritually in the home. Men can be equipped to lead their homes in family worship. Second, we can do more to provide resources that encourage parents to engage their children more frequently and more strategically with the message of the Gospel and instruction in God’s Word. An example would be the book Sammy and His Shepherd by Susan Hunt. For the past two Sundays we made this book available at the resource table for $5 and promoted it during the worship service. 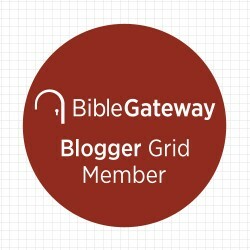 A few months ago we did the same with the outstanding devotional book The Gospel Story Bible by Marty Machowski. Voddie Baucham is right in saying that we need a revolution in the church and it starts in the home. I am grateful for Family-Driven Faith and look forward to see how its message will continue to bear fruit in my life and in my home. Great book, great review, and great topic of discussion! I’d love to grab lunch and think/talk through this with you! Thanks, Trey, for the comment. As for lunch, let’s make it happen!